Glenn L. Madere has over 30 years experience advising clients in a wide variety of tax and commercial real estate matters. He regularly assists clients with the formation, financing, governance and restructuring of joint ventures for real estate acquisition, development or services; capital transactions of real estate enterprises; and federal and state audits and other tax controversies. Glenn's areas of concentration include federal taxation of partnerships, S corporations, commercial real estate, and workouts, and state and local taxation of multistate and other pass-through entities. He is the Editor and co-author of The Readable Code and Regs: Partnerships (Readable Press 2010, reviewed here ). Prior to 2007, Glenn served with the LCOR organization for 21 years, including 13 years as its General Counsel. He is currently Chair of the Philadelphia Real Estate Tax Discussion Group, where he has been a member since 1986, and has been a member of the Delaware County Attorney-CPA Forum (DCACPAF) since 2010. From 1987 to 2014, Glenn was a member of the Tax Policy Advisory Committee of Real Estate Roundtable, the nation's leading trade association for the commercial real estate industry, where he served as Vice-Chair of the tax committee from 2003-2005. He is a frequent speaker at CLE and CPE events, including presentations to DCACPAF and the NYU Institute on State and Local Taxation and, and has published ten tax articles in professional journals, including articles in the Journal of Taxation, Tax Executive, State and Local Tax Lawyer, and an article on transfer pricing cited by the U.S. Supreme Court in Container Corporation of America v. Franchise Tax Board (1983). 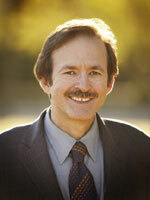 Glenn is also President of Impost Research LLC, a tax research service for CPAs and lawyers.